Gary Bridgens is a New York-based project consultant at APCO Worldwide, where he supports clients across a variety of industries with issues management and corporate communications strategy. 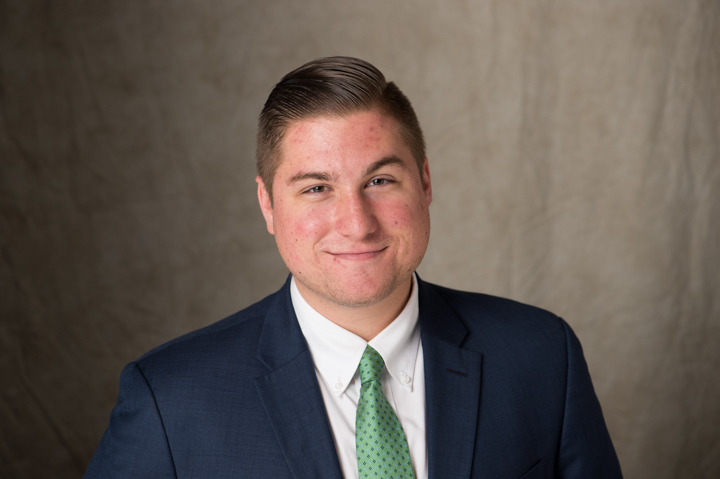 Prior to working for APCO, Bridgens completed internships with a boutique integrated communications agency, a Washington, D.C.-based trade association and Ohio Gov. John Kasich’s campaign for president. Bridgens is a recent graduate of The Ohio University’s E.W. Scripps School of Journalism, where he studied strategic communications and political science. He was elected to serve on the PRSSA 2015–2016 National Committee as the vice president of Chapter development. A leader in the PRSA New York Chapter, Bridgens is an active member of the New Professionals and Public Affairs and Government sections. I sat down to chat with Bridgens about the start of his professional career and life after PRSSA. What made you decide to join PRSSA and eventually run for a position on National Committee? Before I even packed my bags to leave for college, I knew I wanted to seriously invest my time in something that would benefit my future. Until I arrived on campus, I had no idea what that would be. I went to a university-wide activity fair, where I met some like-minded folks interested in creating something meaningful and focused on communications. Thus, we launched a PRSSA Chapter and it became a natural progression. At the time, it was a crapshoot; today, it’s one of the best decisions I’ve ever made. My decision to run for National Committee is a different story. People who choose to serve the Society in that capacity are called to do so by an innate desire to lead. Once I became immersed in PRSSA and its culture, I set a goal to be someone who could engage in governance and truly shape the future of the group, as well as the industry. Service to PRSSA via the National Committee is something I consciously aspired to do for both service and legacy. You currently work as a project consultant for APCO Worldwide in New York City. What do you find to be the most interesting part of working for a global communications firm? The resources, i.e., talent, service offerings, client reach, distinctive opportunity. Working for a company like APCO allows you to engage with a unique network of former legislators, agency leaders and corporate executives, while servicing some of the most influential clients in the world. Beyond this, the firm’s leaders have built an unparalleled toolkit of services that make client work not only effective, but remarkably fun. All of that is done in a globally interconnected work environment, where I can pull upon the knowledge and proximity of colleagues in any of our 30+ offices. Working at a large agency that means business is simply rewarding. In your opinion, what are three essential skills students should develop to be successful in the public relations industry? First, new professionals need to maximize accountability. Having a sense of ownership over your work product is the first step to success; the more you care about what you’re doing, the more it will shine through in the work. Second, new professionals need to have a keen vision. It’s incredibly important that professionals have a sense of forward thinking they can always rely on, in campaigns and beyond. You’ll be a serious value-add to your team if you are always thinking through things like evaluation and client service and are generally always ready for the next steps before they happen. Lastly, be the generalist they absolutely need. Public relations is very much a “know a little about a lot” kind of industry and your ability to quickly adapt to unfamiliar topics or clients is crucial. Being a generalist is a good thing and you should never be ashamed of it. That being said, you should always have a unique skill set that makes you stand out. You should always be a generalist who is also the point person for something important. Choose your niche and get to work but don’t forget to be rounded. What would you say to students who are unsure about a career in public relations? I recently wrote about a blog about this topic. I stand by this: Public relations is the best preparatory profession for learners and leaders. You won’t believe how interdisciplinary the industry is, and how much you’ll learn doing the job. You will always leave work smarter than the day before. If you’re unsure about being a public relations professional, you are not bound to the job for life — give it a go and collect as much knowledge as possible, along the way. You also serve PRSA-NY as executive secretary and PRSSA liaison. What advice do you have for students who are looking to get involved with PRSA as new professionals? You shouldn’t look at PRSA much differently than you look at PRSSA. Sure, there are going to be the politics of ingrained leadership and the structure is a bit different, but it’s a society nonetheless. New professionals need to stop acting like they don’t belong. If you pay for PRSA membership, it is your right to engage with the Society. Seek leadership roles, join committees, send emails and make phone calls. Almost every Chapter has a membership chair who will speak to you about opportunity. If you’re seeing a void in ways to engage, create new ways. Success requires an entrepreneurial spirit. agency, new professional, PRSA, PRSANY, PRSSA, public relations, Where Are They Now?